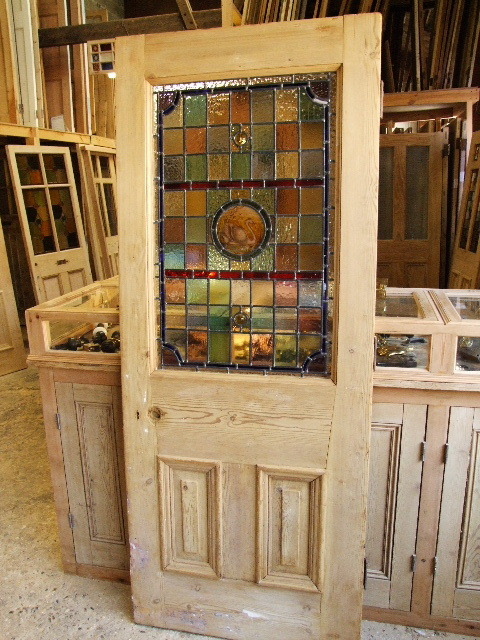 Reclaimed Victorian Stained Glass Front Door With a beautifull and original handpainted swan design. This door has had locks fitted in the past these can be infilled with timber ready to accept new locks. There are strengthening bars to the inside (see pics).